Whizz-kid Stiaan Scheepers shows us how maths can be the solution to any kind of problem. Stiaan Scheepers starts his day doing what most kids fear – maths. Addition, subtraction, fractions and division are child’s play to him. 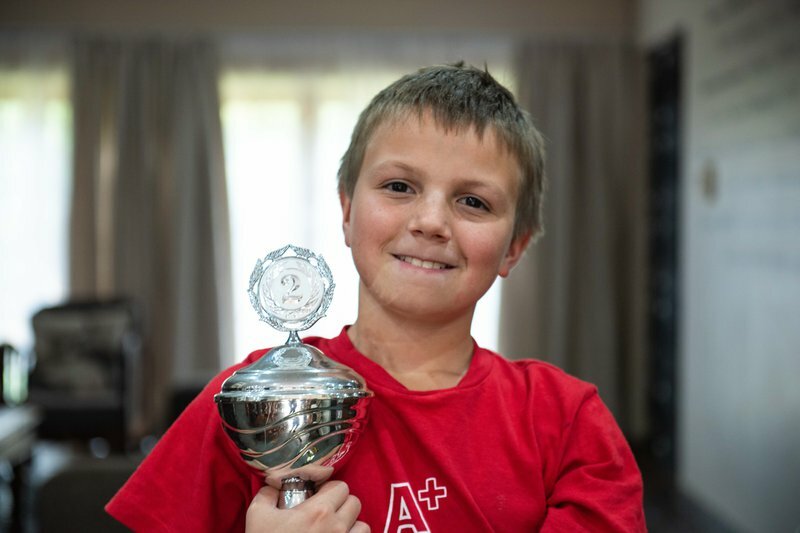 Scheepers is a nine-year-old mathematical prodigy capable of crunching complex sums at exhilarating speeds. Numbers don’t intimidate Scheepers. Not when he’s faced far worse. When Scheepers was just three years old, he was diagnosed with lymphoblastic leukemia. At an age when toddlers want to explore and run free, Scheepers had to stay indoors, undergoing chemotherapy. His precocious interest in maths began when he joined his older brother at A+ Students. Though Scheepers was barely out of diapers, the early learning system offered him a method to his genius. Later, it gave him the strength to get through cancer. Scheepers’ skill is more than an asset to his schoolwork and health – it has led him to compete internationally. At the PAMA Global Abacus and Mental Arithmetic Championship, he received the Champion of Champions title for South Africa. In 2018, he earned second place at the Junior Mental Calculation World Cup in Germany. The example Scheepers sets is valuable to everyone. In the face of adversity, we can use our gifts to add to our purpose in life. “Maths taught me that it is possible to solve any problem,” Scheepers says.